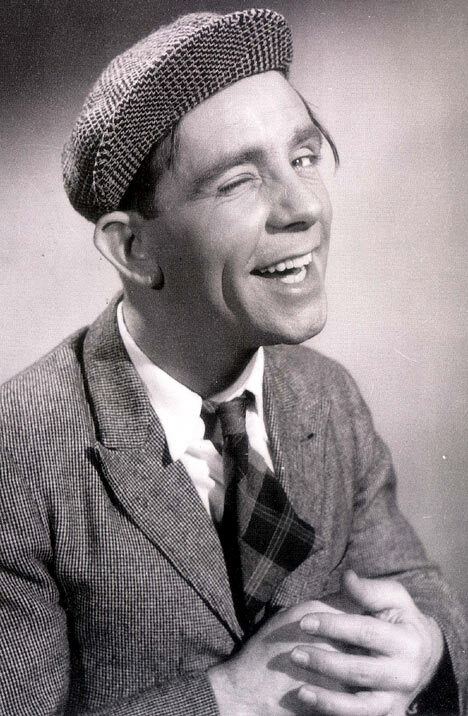 Norman Wisdom was the first comedian who made me scream and scream and scream with innocent, joyous, uncontrollable, painful laughter. I remember literally rolling on the floor, kicking my legs in the air, often unable to breath properly, tears blurring my view of the screen as he took the routine just a little bit further, step by hilarious step. Apart from the pain he inflicted in that precious and cherished way, his comedy hurt no-one; his character was the only victim. Beautiful, beautiful, beautiful. I think we should have a minute of pratfalls, laughter and cries of “Mr Grimsdale” in his memory today. There’s loads more on there. Go on, have a happy hour or so. This is a wonderful tribute Richard. I totally agree – Norman was an exceptional and unique talent and sadly we’ll never see his like again. Off stage he was just as funny – I’ve been reading stories about Norman over the past couple of days that have sounded like hilarious potential plots for his films, and have been touched by the warmth, generosity and kindness of the man whenever he encountered people everywhere he went. This is an irreplaceable loss for the comedy world and indeed for our planet, but thank you Norman for the cherished memories. I understand some wag updated NW’s wikipedia entry to say he also wrote the lyrics of ‘White Cliffs of Dover’ (he didn’t), which was immediately parrotted by all the newspapers. I think he would have approved!